Thought that article looked familiar, it was from the course board test I did back in early 1989. I syndicated it around the world...had forgotten it was printed in OZ. 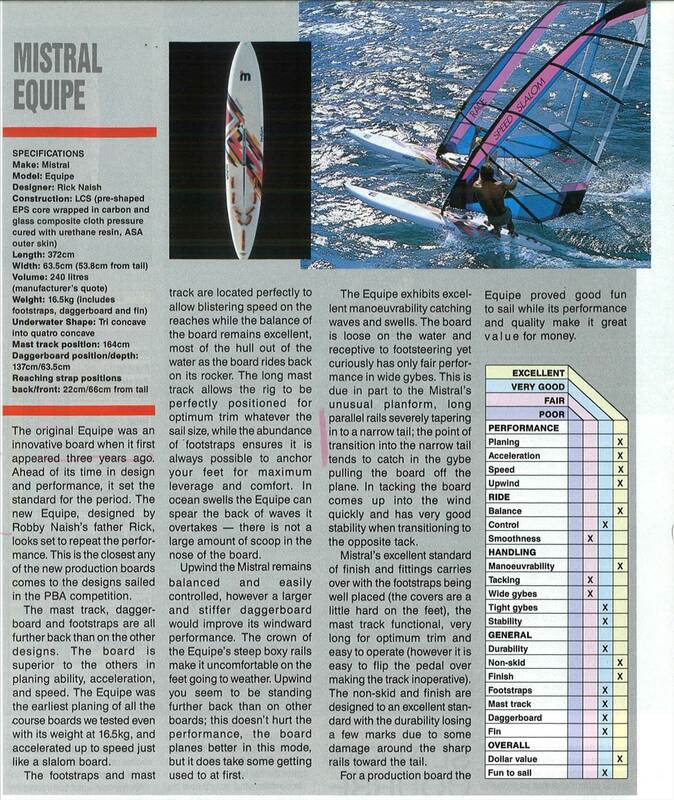 We had the Tiga Racing Competition, Mistral Equipe, Bic Bamba, F2 Lightning World Cup Race. We were down on Sal in the Cape Verdes Islands for a month testing and getting in trouble! Mistral Equipe won the test easily. I then did a further article customising and tuning it to bring it up to World Cup Level performance. Had a Thommen custom board to test it against, still got both boards. 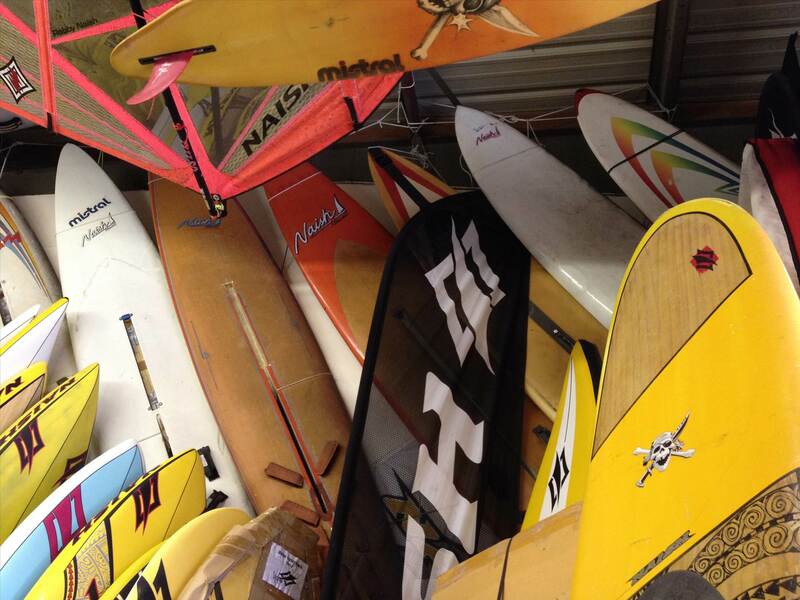 This is at the Naish Shop a couple of years ago. There was also another of the orange equipe boards out the back on a rack , it felt like it weighed 8kg or so. Randy says they didn't bother with a sandwich construction , just carbon on styrene. I guess they weren't made to last more than a few events. 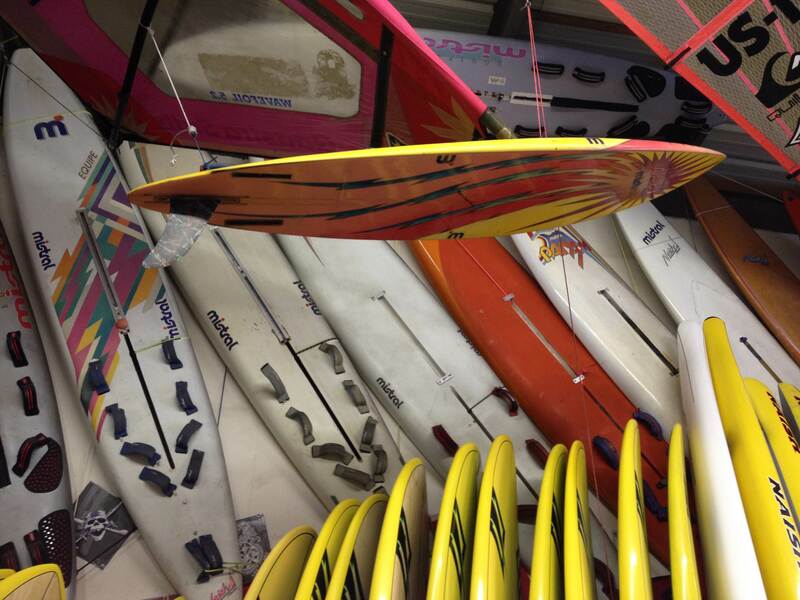 Thanks for posting these photos, what an awesome collection of raceboard evolution from the days of the maui to molokai, and pan am cup, to PBA world cup, during the glory days of the Naish / Mistral partnership. I notice on the Mistral website they have recently reintroduced windsurfing products after 20 years, but they all seem pretty underwhelming, especially looking at where they came from as demonstrated by this collection of their history. This collection also demonstrates how raceboards evolved from designs for long distance ocean races, then to M course racing on the world cup - initially with minimum wind strength above force 4, then lighter winds and Olympic course racing formats (influencing an increase in board volume). 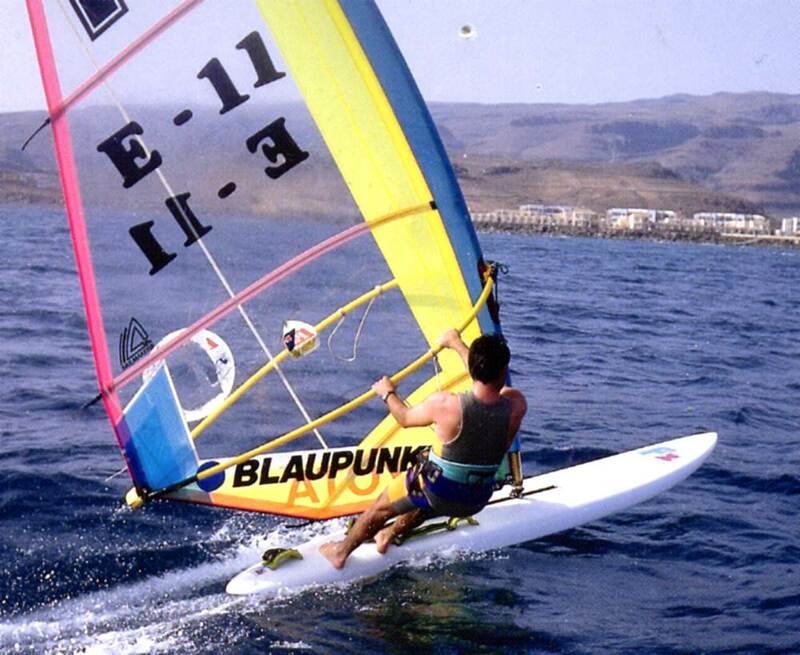 I guess this is how the raceboard evolved to become so versatile - Still the best all round design for sailing long distances as currently demonstrated by Jono Dunnett sailing around Europe (windsurfroundeurope.eu) and course racing in the widest range of wind and sea conditions.